SOAPware DocumentationSOAPware FAQ'sFAQ's IT SpecificQ: How do I optimize SOAPware over an RDP Connection? A: To optimize the speed of SOAPware over a RDP connection (i.e. 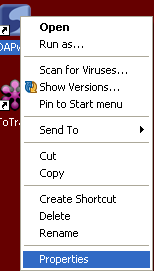 Citrix Metaframe, Microsoft Terminal Service, VPN etc) you can edit the SOAPware shortcut and add an argument for turning off the background image which can render slowly. 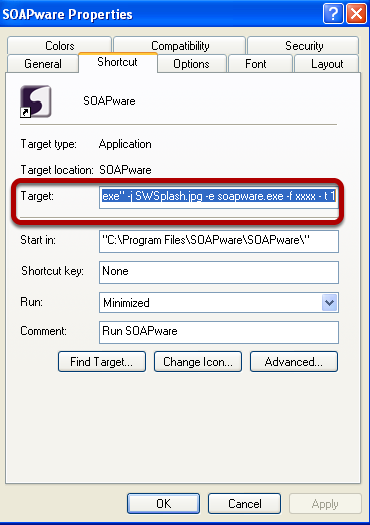 Right-click over the SOAPware shortcut icon, and Select Properties. Previous Lesson: Q: Do we have to update SOAPware on all computers? Next Lesson: Q: How do I create a mailing label?